Matt Rigney September 28, 2009 Comment Now! 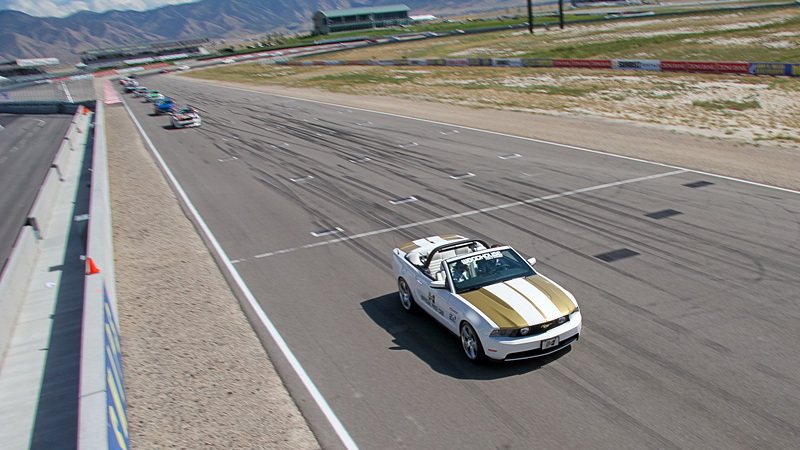 Last week we got our first look at the 2010 Hurst Mustang pace car at Miller Motorsports park as it led around the 26 car field for the final race of Ford Racing Mustang Challenge. We initially heard the Hurst Mustang was going to be a one-off model but Hurst Performance had other plans as they have announced there will be 50 limited edition replicas of the BF Goodrich/Hurst 2010 Mustang pace car. 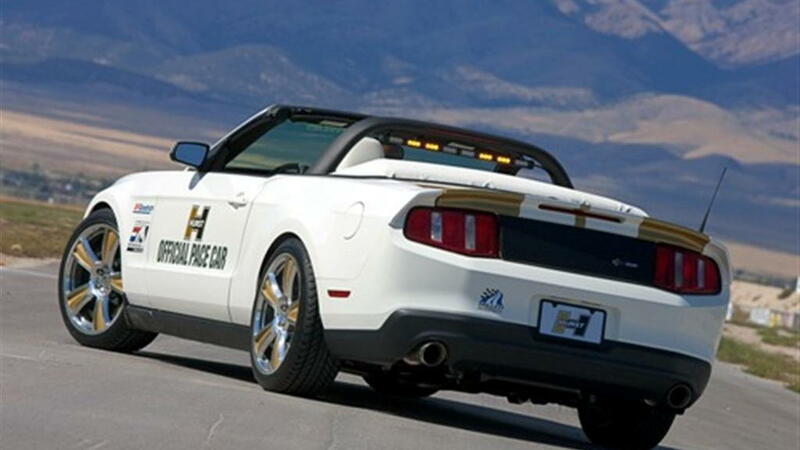 MSRP for the Hurst Mustang pace car will be $36,450.oo above the cost of a base Mustang GT or premium GT convertible. Vehicles can be purchased now through Hurst Performance and deliveries will take place for the first customers in October. 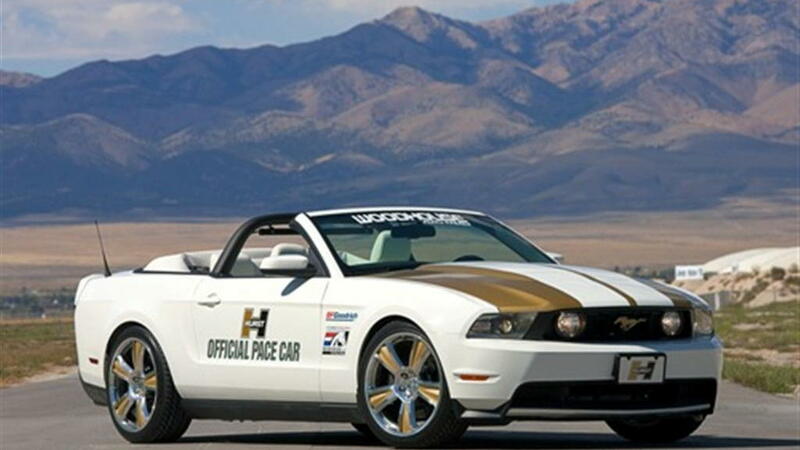 Read more about the Hurst Mustang pace car below in the press release. Irvine, Calif. (September 23, 2009) – Hurst Performance, a company responsible for some of the most iconic and collectible pace cars in racing history, announced today that it will build 50 limited production replicas of its supercharged BF Goodrich/Hurst 2010 Mustang Pace Car. 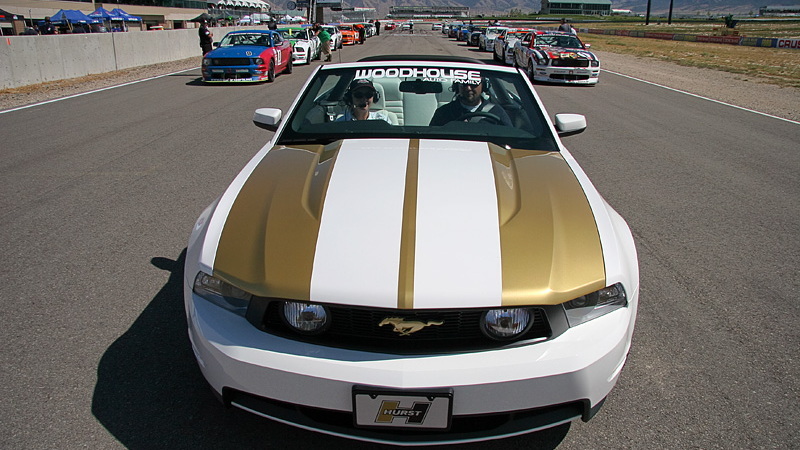 The original BF Goodrich/Hurst Mustang made its debut as the official pace car at the Ford Racing Mustang Challenge race on Sept. 19. 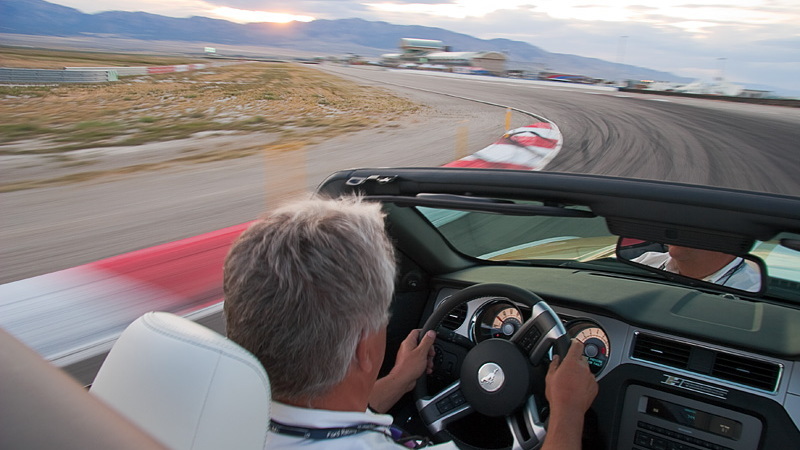 "Hurst has a unique place in the world of pace cars," said Ron Flint, President of Hurst Performance Vehicles. "We are privileged to honor Hurst's history and again build cars that are fun to collect and even more fun to drive." The stunning limited production Hurst Mustang Pace Cars feature massive 20" Hurst polished, forged aluminum wheels with gold painted center spokes wrapped in BFGoodrich g-Force™ KDW tires for maximum performance. The cars are distinctive, with painted gold racing stripes and official "Pace Car" logos on white. Each car has a special white convertible top, boot and interior. The exterior delivers HURST identity with subtle detailing and features including real metal badges and a unique HURST AIR-SPEED® rear deck spoiler. The gold HURST T-handle shifter is the centerpiece of the interior for both manual and automatic cars and the seats and floor mats feature the famous Hurst gold and black "H" logos. Handling and attitude are provided by Eibach, with Hurst-tuned coil over shocks, springs and sway bars. Under the hood, the supercharged engine pounds out 435+ horsepower and over 400 lb.-ft of torque with Magnaflow custom-tuned stainless steel performance exhaust finishing off the sound and performance statement with authority. Each limited edition production car comes with a commemorative edition etched metal dash badge, autographed signatures from the Hurst Team in the trunk and a Certificate of Authenticity confirming its collectability and provenance. Every Hurst buyer is invited to take delivery at the Hurst Performance Center in Irvine, California to meet our team and tour the facility. Vehicles are available for purchase immediately with first deliveries in October. MSRP Pricing for the HURST/Mustang Pace Car Series Convertibles is $36,450.00 above the cost of the base Mustang GT or Premium GT Convertible. Please visit Hurst-Performance.com to order your car or make inquiries. Now that its run with the Ford Mustang Racing Challenge is over, the unique and highly-collectible original Pace Car will make special appearances at numerous race tracks, car shows, parades and even SEMA, before being auctioned for charity at the Barrett-Jackson Scottsdale Auction in January 2010. Proceeds of the auction will go towards benefiting the newest Victory Junction Camp in Kansas City, KS to enrich the lives of children with chronic medical conditions or serious illnesses. The vehicle was generously donated by Woodhouse Auto family of Blair, Nebraska with many of Hurst's suppliers joining in to donate parts and services for this very worthy cause.